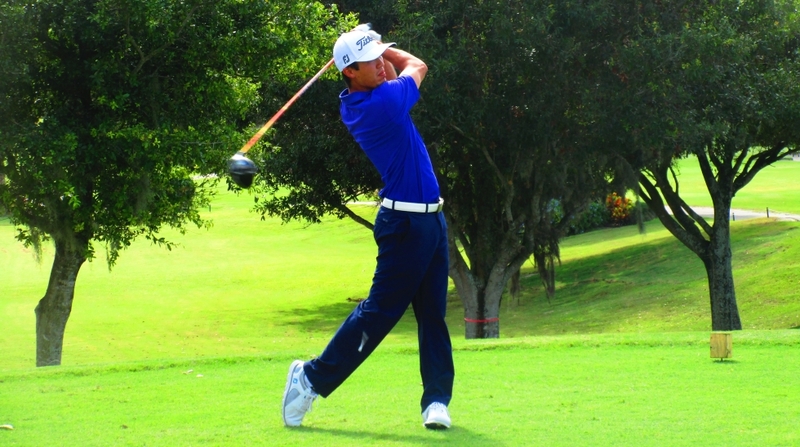 JUPITER, Fla. – Justin Martinson of Avondale, PA, birdied the second hole of a playoff Tuesday at Abacoa Golf Club to win for the first time on the Minor League Golf Tour. 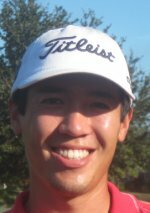 Martinson outlasted four other players who also posted two under par 70's. Matt Hill of Palm Beach Gardens, Corey Birch of Ridgefield, CT, and Dominick Vennari of Baltimore, MD, all missed birdie putts at the par-4 first hole. Martinson and Alejandro Garmendia of Pompano Beach, FL advanced by sinking putts of 10 and 9 feet, respectively. At the par-5 second hole, on his third shot, Martinson chipped to 7 feet from behind the green and birdied after Garmendia missed a 20 footer for birdie. Martinson had eagled the second hole in regulation to go with 3 birdies and as many bogeys. Garmendia and Hill each made 7 birdies and 5 bogeys, Birch and Vennari 4 birdies and 2 bogeys apiece. Martinson received $850 from the $4,800 purse, $170 from the optional bonus pool and $60 in skins for a total of $1,080. The four who tied for second each received $487.50 plus added money. On a windy day, there were five more who tied at 71 and nine at 72 in the 38-player field. 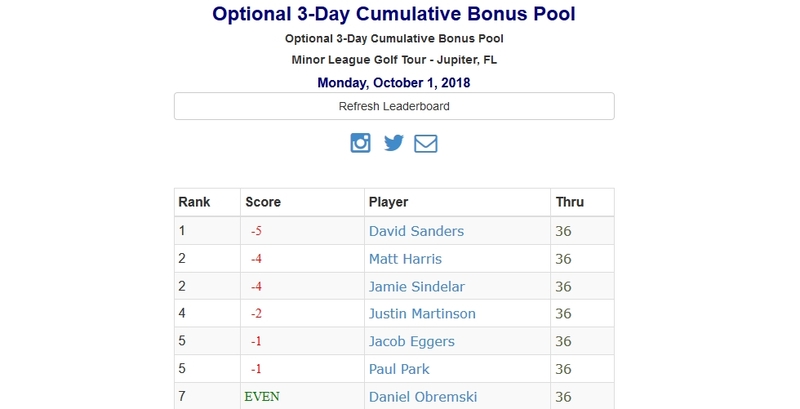 10 players chose to enter the optional 3-day cumulative bonus pool where scores from all three 1-day events this week count towards. 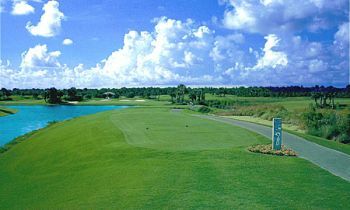 The entry fee was $100 and 100% of the entries go into the purse creating a prize pool of $1,000. Here is the leaderboard after the second event. A big thank you to MLGT partner Joey D Golf for coming out to todays event to offer players complimentary strectching before the round. They are offering MLGT members a special rate of $50 per training session the entire month of October 2018. And as always you'll receive a complimentary physical assessment at your first visit.